Color Me ________ from YES on Vimeo. 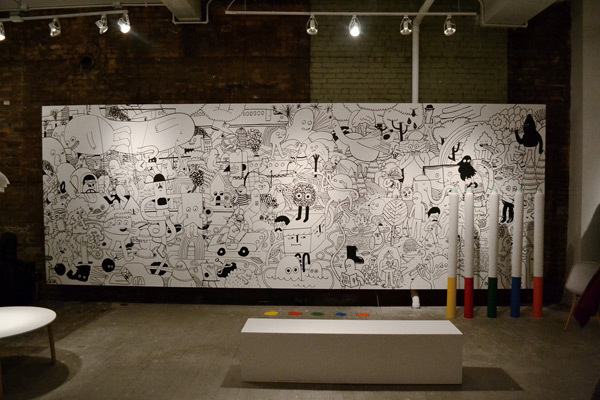 Color Me _____ was an interactive exhibition where viewers could actually color the 24ft mural designed by artists Andy J. Miller and Andrew Neyer, with huge markers. Exhibition was held at YES in Cincinnati, Ohio. Totally wish I could have colored with giant markers!! I just love interactive art. I probably would have got the ink all over my shirt.